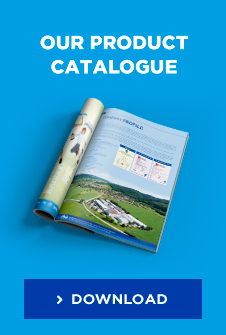 VITAR production meets all parameters and standards specified for modern production of food. The prime quality in all stages of the production process is guaranted by a number of awarded international certificates. 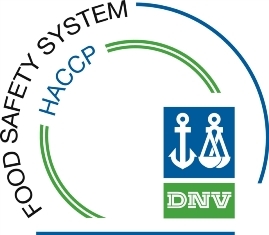 The HACCP (Hazard Analysis and Critical Control Points) is an internationally accepted method which helps companies operating in the food industry to identify safety risks in the area of foodstuffs, contributes to the prevention of risks in the area of foodstuffs, and offers solutions in line the legal regulations. This system is compulsory for all subjects operating in the food processing industry. For us the HACCP certificate is a matter of course and so are the regular audits confirming the legitimacy of the use of the certificate. Download certificate HACCP for VITAR. As a manufacturer and a world-wide distributor of food supplements we undergo internationally recognized certification procedures in order to document complience with the standards required by our customers. Therefore, we have acquired international certificates verifying the high quality of our production processes BRC (Global Standard for Food Safety, Grade A) and IFS (International Food Standard, Higher Level). IFS international food standard is a common standard concerning food safety which uses a unified evaluation system for supplier qualification and selection. It helps food sellers to assure safety of the offered products and to monitor the level of quality branded foodstuffs of manufacturers. Download certificate BRC for VITAR. BRC Global Standard Food for food safety means that a given product meets strict criteria for global food safety issued by CIES – The Food Business Forum. Download certificate IFS for VITAR.